I have terrible timing when it comes to starting organizing projects. I always seem to find myself with a rush of energy and motivation to declutter in the middle of a dinner party, or twenty minutes before I have to run out the door for work, or very late at night when I have to wake up at the crack of dawn. Of course, it is completely absurd to dump out the contents of my desk drawer when I really need to be brushing my teeth and heading to bed.... but I guess when the urge comes to organize, I can't fight it! Am I the only one with this affliction? p.s. I hope you all had a lovely long weekend! 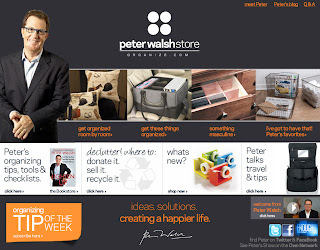 I am DROOLING.... Peter Walsh has his own "store" for organizing products on Organize.com and I can't stop browsing the site. 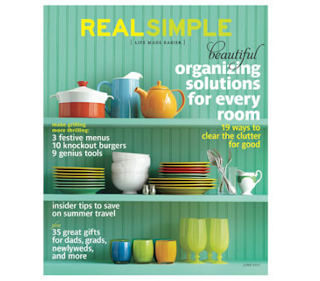 I think I need a 12-step program for my organizing addiction. After a recent session with a client, she decided to donate a beautiful gown that she had not worn in years. Instead of donating it to one of the larger companies in town, I decided to look into something a bit more special. That's when I found the Princess Project. This incredible organization gives FREE dresses to high school girls who cannot afford to buy their own gowns for the prom. Their mission is to help build self-esteem and confidence in teenagers and help them experience one of the most memorable rights of passage. Amazing. Do you have a favorite organization you like to take donations to? Please share! 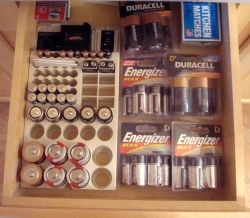 How to properly store and organize batteries?? 2. Do not keep in the freezer! **and don't forget to recycle your used ones at places like Staples or Office Depot. I am terrible at meal planning. Instead of thinking ahead and buying groceries strategically, I just wander around Trader Joe's picking out yummy stuff haphazardly. What I end up with is a mish-mosh of good food but nothing that creates full meals. I also waste food and then cry as I throw out moldy strawberries and peppers. Ugh, it's a disaster. But, look at what I found in my Real Simple Magazine!! 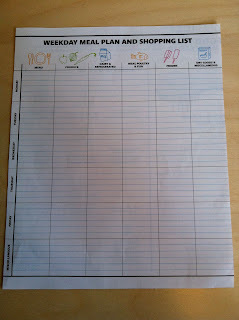 This Meal Planner helps you plan out the meals that you are going to make each day of the week, AND it helps you figure out what to buy at the grocery store! I just used this form and did some strategic shopping. 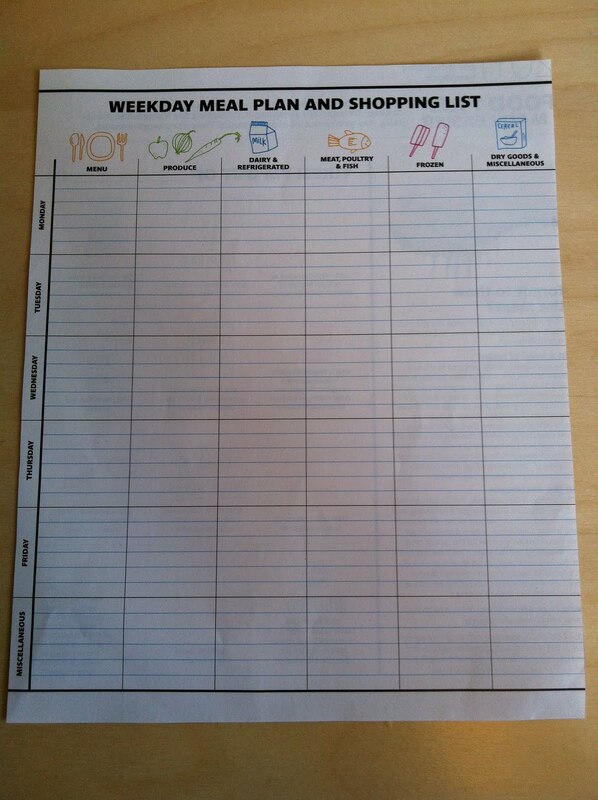 Wish me luck this week.... here's to yummy meals and no wasted food! I first came across Tote Buddy at the NAPO (National Association for Professional Organizers) National Conference last month. The brother and sister team came up with this eco-friendly and stylish shopping bag that immediately caught my eye. 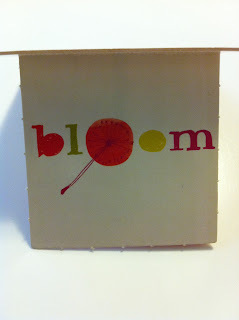 The bags are so durable and are kept neatly in the floral or black "folder." 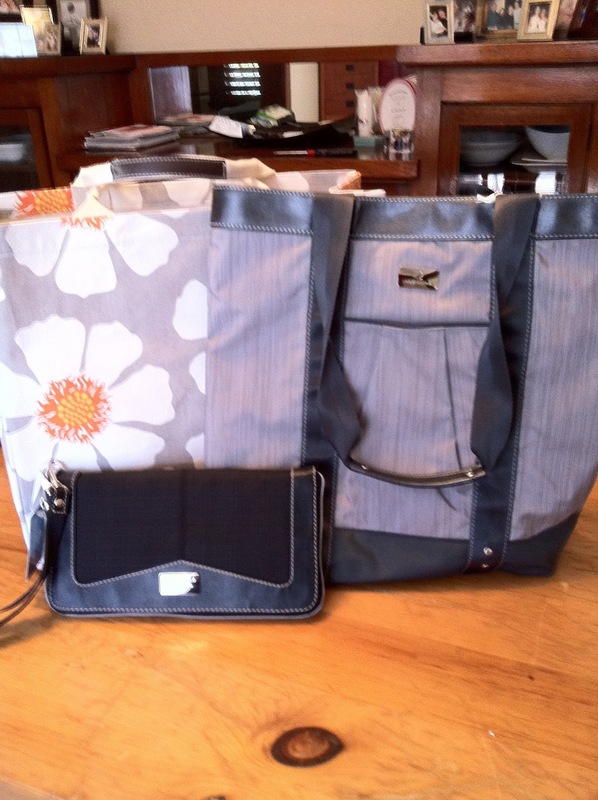 So many of my clients struggle with bags that become a cluttered mess! 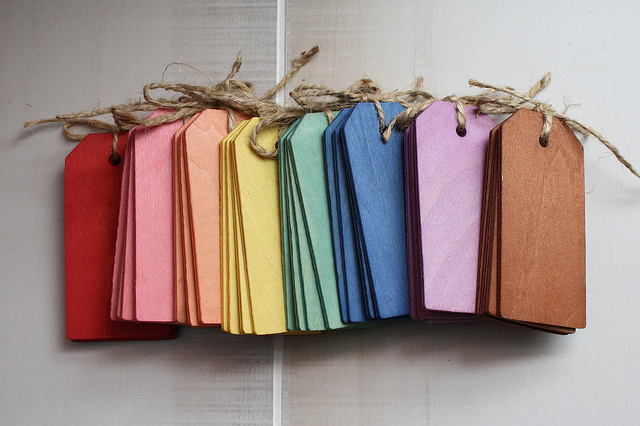 Now, they can be good to the environment, be stylish, and organized ALL AT THE SAME TIME! 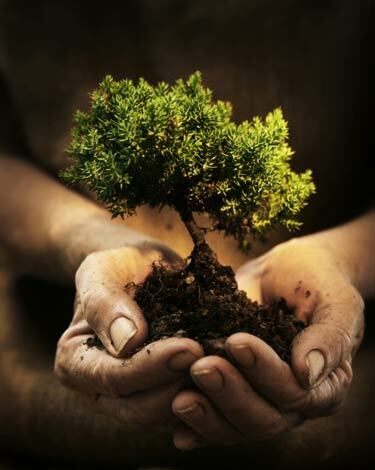 "Generosity is a way of telling the subconscious: I already have enough... If you reach out your hand to help, you know you're coming from a place of sufficiency." I could not resist the new travel bags that just arrived at the Container Store. After wandering around and gazing at all the cool bags, I finally asked my lovely coworker for help. Beth figured out exactly what I wanted: a bag that I could take as my "personal" carry-on piece when I travel. She suggested the Marta Tote by Eagle Creek, which can also be used as my purse when I need a bit more room, and the matching Marian Wallet that I can use on its own as an evening purse. 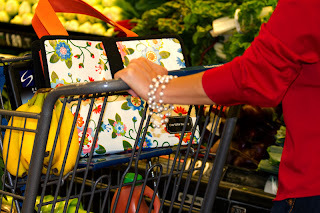 I also grabbed the Delilah Floral Tote that has been perfect for client visits. It holds my client's file, clipboard, tape measure, label maker, and trash bags perfectly. Now, how do I resist my shopping urges for the rest of this sale?! 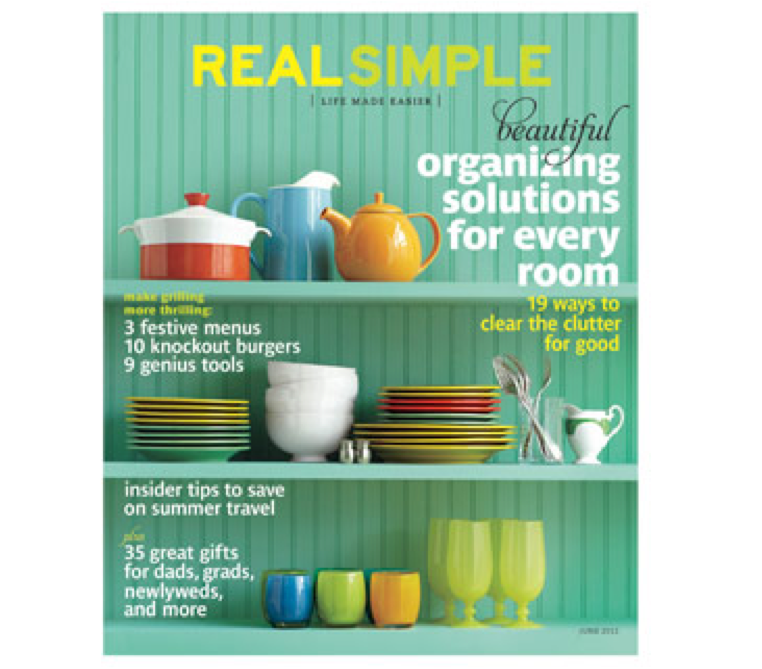 I can't wait to scour each and every page... and this one is featuring organizing solutions! I can hardly contain my excitement. The only thing better would be cupcakes arriving at my doorstep. Hint, hint. Is it just me, or is the Wall of Shoes a bit excessive? As of last week, my parents' garage was filled with my childhood memorabilia. 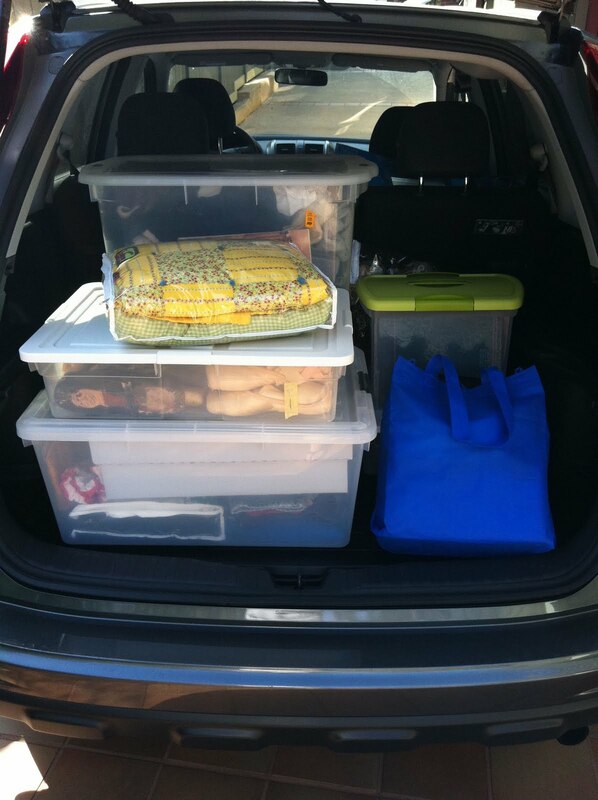 I know that this is not completely abnormal, but after years of having my own garage and no more excuses, it was time to go through my memories and take my stuff to my own house. Going through a bin from the "high school years"
My mom helped me by providing emotional support and beverages whenever I needed a break. We put on our gloves and dug in! 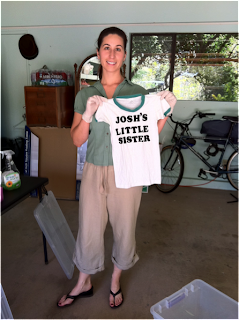 I found so many fun things, including an adorable t-shirt that I used to wear when I was about 3 years old... my brother had "Leah's Big Brother" and we were so friggin' cute together! I left my parents' house with only enough bins to fill my trunk... I was able to let go of six bins of stuff! I now have only the things that I loved the most and that bring back the best memories. And my mom is thrilled with all the extra room in her own garage! Happy Mother's Day, Mama! Use it up, wear it out, make it work, or do without. I found this gem off of a stack of little cards (see above). I was reading one every day... and then there was this one. How perfect.... right?! 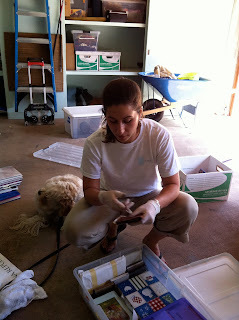 Last week, I helped a client clean out her pantry. We spent over two hours sorting through all the food, kitchen supplies, and appliances. It was amazing how big of a difference we were able to make! I not only took away four HUGE bags of stuff that I donated to Goodwill, but she was also able to let go of a large bag of food that her family did not need. Not many places will take food donations, but San Diego Food Bank was very happy to take it. The 17lbs of food is going to a much better place than sitting in the back of my client's pantry. So, do you have any extra food that you can let go of? It turns out that I am not the best at hosting a yard sale. We had a big, neighborhood-wide sale this weekend and there were probably 50 homes in the area who participated. It was so great to have the whole community out on our front steps and have so many fun visitors come to shop amongst the items we were letting go of. 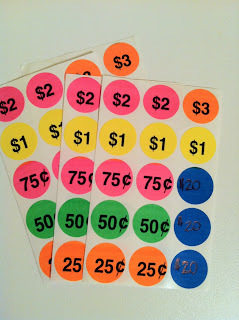 Don't get me wrong, I had so much fun at our sale... and we made over $200! But I still did not feel prepared for our buyers. We thought that getting set up an hour before the official start time would be good enough, but just as we were bringing items out from the garage, we had two vans of people pull up ready to shop. They literally bought HALF of all our stuff 45 minutes before we were ready! Even with the cash in my pocket, all I could think about was that I wished that I had time to lay out all of our stuff in themed sections. I mean, really?! No one else cared! It must have been my years of working in retail and my unconscious need to line things up in an orderly fashion. I just couldn't believe that our shoppers wanted to dig through the piles and bags of stuff before I could perfectly present it to them. So, the lesson is this: Be FULLY set up for your yard sale an hour before you advertised. 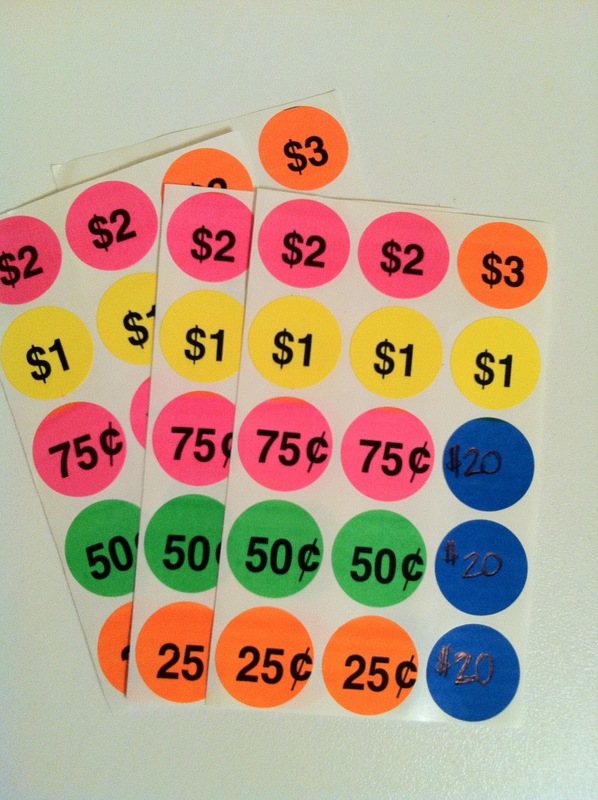 Grab these colorful price stickers that are already printed. And mostly, let go of trying to make it all perfect- focus instead on how good it feels to let go. I have to say that the extra space we have in our home and garage is just lovely!